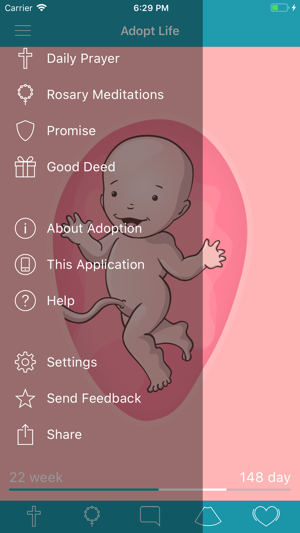 This is your mobile assistant to help you with your Spiritual Adoption of the Conceived Child. 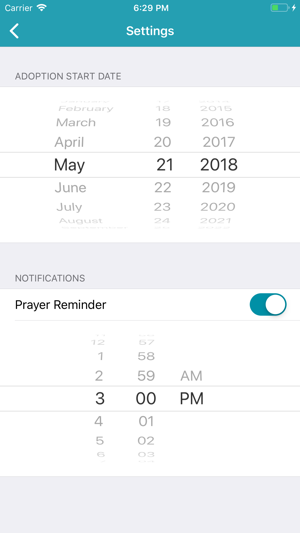 It will accompany you for the next 9 months of your prayer to help you redeem your commitment of prayer. 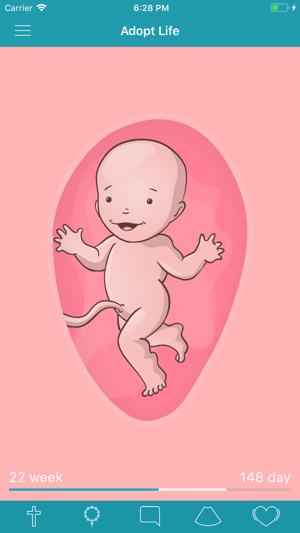 Using illustrations we present every week of the child’s fetal development. 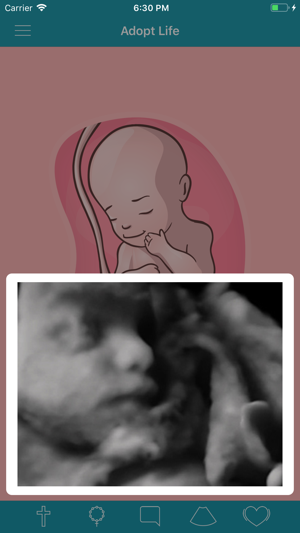 There are also authentic ultrasound pictures and the heart echo scan of development’s subsequent stages. 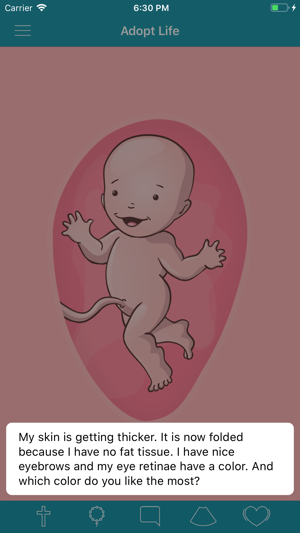 You can follow the child grow during the period of Spiritual Adoption and educate your community about the fetal appearance of a human. We have also prepared rosary considerations for each day and little surprise… you can read a short child’s thought corresponding to a given development stage. 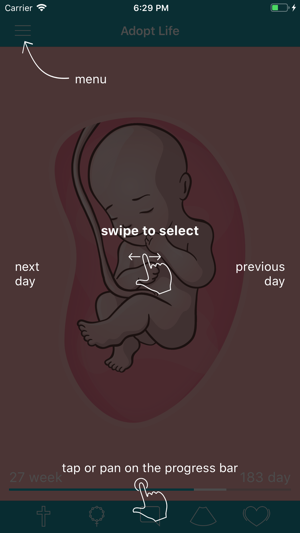 You will learn about the stages of human fetal development and become more sensitive about the conceived life. The Daily Rosary Meditations were prepared by the Foundation-friendly priests, the ultrasound and heart echo scan were delivered by people from all over the country who wanted to contribute to this app. The creator of the application is Tiny Feet Foundation. To mogłaby być fajna aplikacja dla kobiet w ciaży lub po prostu dla zainteresowanych tematem, ale oczywiście musieliście z tego zrobić katolicka propagandę. Dlaczego nie jestem zaskoczona? Ciekawe, ile osób hejtujących ten program żyje właśnie dzięki duchowej adopcji, którą ktoś kiedyś za nie odmawiał. Chciałbym zobaczyć ich miny jak się o tym dowiedzą - bezcenne!